If your little one is starting to notice or identifying colors, then this bug color matching activity is for you. This free, printable can be used for matching, sorting, or playing Memory. 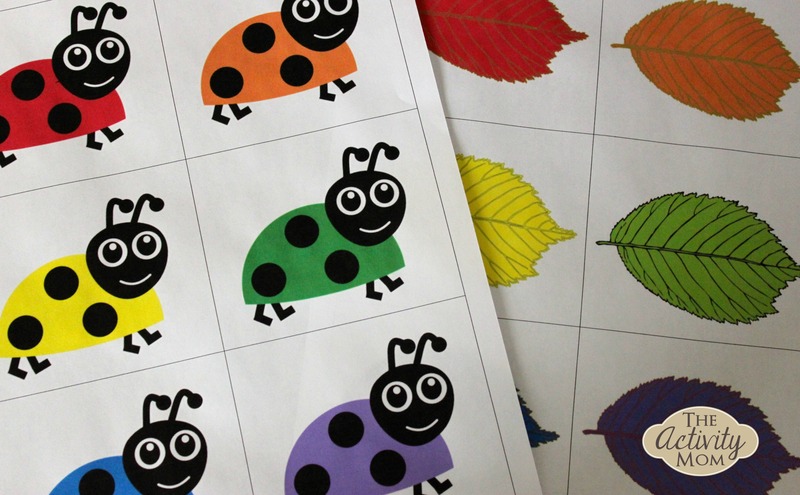 Download and Print the bug color matching document and cut out each card. Match each bug to its same colored leaf. Name the colors as you match them. Print two sets of cards and use them to play Memory. 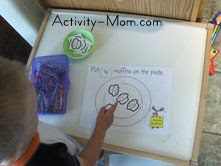 Write capital and lowercase letters on the bugs and leaves to practice matching letters. Write numerals on the bugs and the equivalent dots on the leaves to practice counting and matching numbers. Use these cards in a Busy Bag. Hide the cards around the room and turn it into a Hide and Seek matching game. 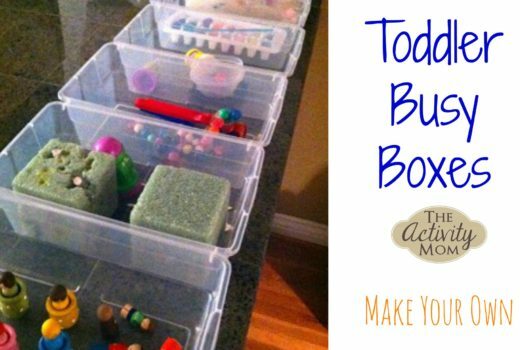 Make sure to check out our other Matching Activities that you and your child will love! these are totally adorable. thank you for being so creative! This is adorable! Every time I try to download though, I get an error. Is there any way you could email me the file? Thanks! Yes! Sending the file to you now. How do I download this? I can’t see a link. It is lovely! thank you! Click on Bug Color Matching next to the #1. Sorry about that….site is undergoing some upgrades and that is one thing that we need to fix. =) Enjoy!